Founded in the summer of 2013, Lyda's existence is constructed from it's members mutual creativity and passion for Irish traditional and jazz swing music. The group formed in 2013 whilst undergoing their bachelors in music in CIT Cork School of Music. Since then they have held several long standing residencies in their adopted hometown of Cork city as well as being Cork hosts for national culture night in 2014. Lyda are frequent entertainment providers for weddings and other special occasions in some of Irelands premier Hotels and Guesthouses; most recently performing in Ballyvolane House, Dromquinna Manor & The Europe Hotel, Killarney. Lyda are excited to be releasing their debut EP comprising of original music in the summer of 2016 with tour dates to follow. Lyda are a versatile and virtuosic bunch. They can offer music services for any celebration but they specialise in weddings! 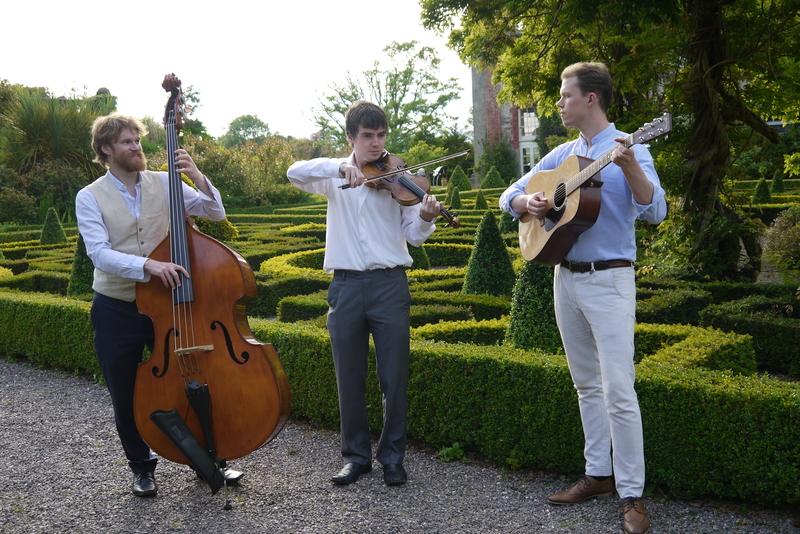 Lyda are a trio of highly trained classical, jazz and traditional multi-instrumentalists. Their skills in arrangement means that they can create a highly unique piece of music for you to walk down the aisle to. Lyda can then transport their instruments to the reception to play for your guests while they unwind and mingle at the drinks reception! Their repertoire of jazz swing music and Irish traditional songs and tunes are perfect to compliment your choice of venue. Looking for something different? Lyda blast out the classics and more for your party to boogie to after dinner. Their unique instrumentation will have you swinging and Jiving on the floor all night!